Enjoying a wonderful luxury holiday in Pollensa is easy when visitors know tips for the best places to go. The beautiful Puerto Pollensa cillas offer the perfect starting point for a visit to this quaint and scenic destination. The gorgeous scenery with glistening, sandy beaches and its friendly and warm atmosphere make Pollensa a popular destination. The traditions of the Mallorcan area are honoured by evening walks on the Pine Walk. 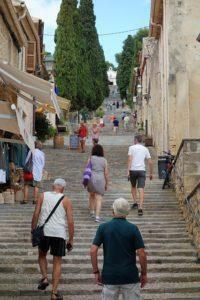 One of the best sightseeing opportunities in Pollensa takes place at the top of the famous Calvari staircase. 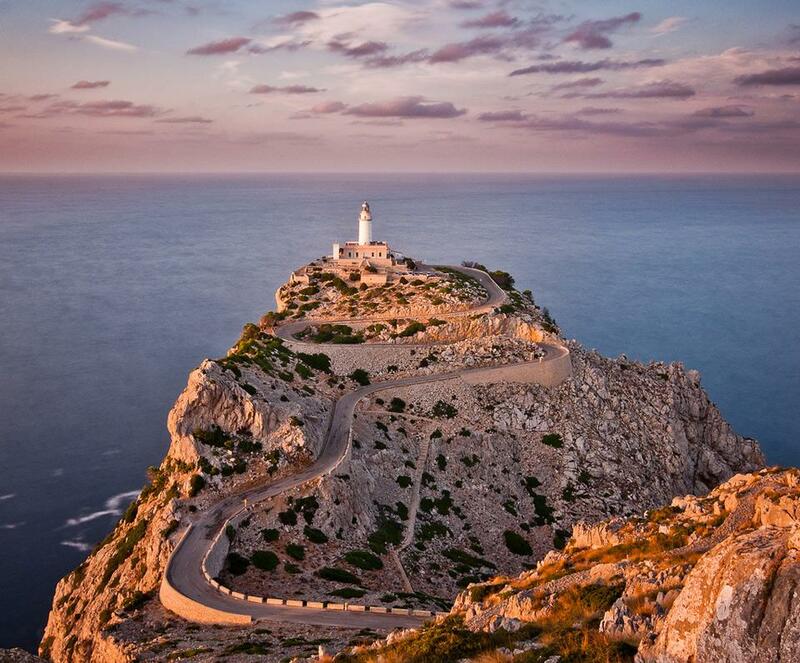 By climbing the 365 steps of this world-famous staircase, visitors are rewarded with one of the best views in Pollensa. The steps are lined with majestic Cypress trees. The quaint and pretty El Calvari chapel is situated at the top of the steps. The view is spectacular and gives visitors a feel for the geography of the area along with the landscape of the town and the Pollensa coastline. A quiet, out-of-the-way place that is definitely worth seeing is a hidden cove called Formentor on the left side of Puerto Pollensa. Leaving the Puerto Pollensa villas, one can get there by bus or by boat. Photo opportunities in Formentor are incredible. If visiting by bus, the ride is slightly exhilarating due to steep drops and very tightly wound bends in the road. The drivers are professionals and know the best way to navigate this challenging roadway. There is a hotel in Formentor where Agatha Christie once stayed that is worth visiting. A swimming trip is also a great way to spend an afternoon in Formentor, giving visitors a chance to swim in the crystal blue bay water. A boat leaves the area and takes visitors back to Puerto Pollensa on an hour-long trip. A visit to Puerto Pollensa’s main square is a wonderfully relaxing way to spend an evening. Enjoy the cuisine of many places in one of Pollensa’s many interesting restaurants. One creative cuisine restaurant called Tiberi is a unique way to try cuisines from many areas in one convenient place. There are also traditional restaurants like a Pizzeria, the Mojito Grill and a Nostalgia Bar & Bistro that offer delicious options. Immersing oneself fully in the Majorcan culture is easy on a luxury holiday in Puerto Pollensa. The sights are breathtaking and the hospitality is warm and inviting. The Puerto Pollensa villas offer the perfect base to begin the exciting adventures.